This entry was posted in Monday Meeting, Parents and Parenting, Special People I'd Like You to Meet and tagged cancer, childhood cancer, inspirational, Talia Joy Castellano, Zach Sobiech. Bookmark the permalink. Thank you so much on your re-blog of this very special young lady! I had not even known about Talia. I know her now. This is a beautiful post. Thank you so much for your re-blog. My privilege and pleasure. I wanted to give people someone else to talk about rather than Miley… Talia is a wonderful role model for adults and adolescents alike. Perfect ! a wonderful thought! Such a wonderful and touching story of a beautiful girl! Had a good cry reading this, thanks for sharing! I was also inspired by this ‘old soul.’ She has much she could teach us. 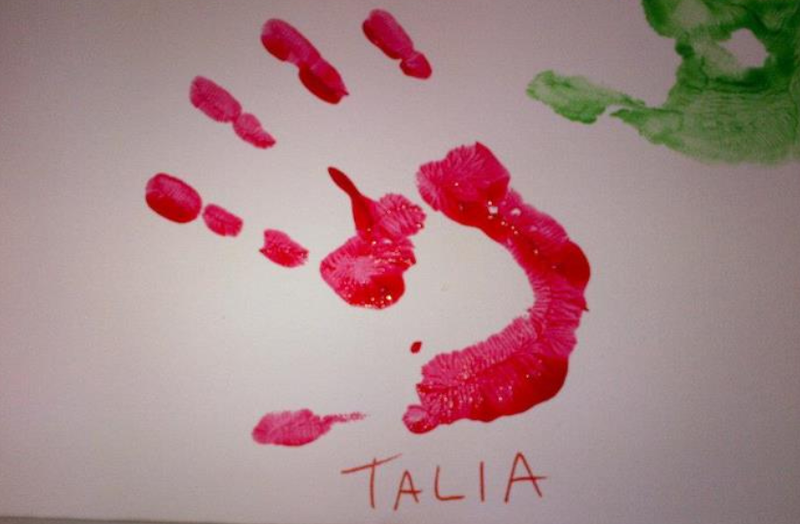 Thank you for reading and commenting on Talia. Thank you. We can always use inspirational. That’s what I hope to achieve here on Soul Gatherings. Thank you for taking the time to read and comment. Truly beautiful and poignant. Thank you for sharing it . . . it does much to reveal your own wonderful heart. Peace . . .
You are welcome. You honestly gave me pause with your comment, Rising Hawk. When I write about such inspirational people, it is because I find much to admire in them, and has nothing to do with me. Your kindness in carrying this further is beyond appreciated; I will think on it. Thank you for the giving me a warm heart this evening – for sharing this story. It never ceases to amaze my how some people can raise above adversity. This wonderful young girl is a shining light to us all. God love her and keeps here may this knowledge comfort her family. She truly shines. The “triumph of the human spirit” is what I try to bring forth in my posts; I so admire ordinary people who are quite extraordinary in their response to life. People like Talia warm my heart, and give me hope. thank you dear I am blessed to have you and my guide and a very very respectable sister. My privilege, Ajay. I know you seem to like my posts to do with parents; I hope you took a look at “When Did I Start to Look Like My Mother?” I’m definitely getting older, and, I hope, wiser. Not only knowledge, but wisdom. A Heartbreaking story Theresa and one every mother fears. The world can be an amazing place. Loving kind humans and people like this young lady who shine so bright for a short time. Thank you for this. You’re welcome. A shining example of decency in anyone, let alone one so young, is always good for the soul. Lovely tribute. I remember this brave soul. In remembering, you honor her. Thank you for stopping by and commenting. Thank you, Theresa, for this beautiful and touching post. We all need to keep knowing about, hearing about, those among us who elevate the entire vibration of our planet and certainly Talia was on of those people. Her body may be gone, but her spirit lives on in many, and I am just so moved by people continuing to carry out one little girl’s bucket list. Welcome to Soul Gatherings. I so agree with you; Talia showed uncommon courage and grace in her life – an example to all of us.